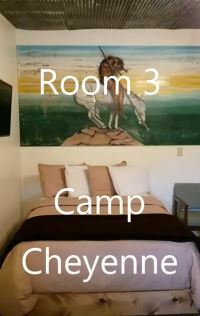 CLICK ON THE LINK ABOVE TO BOOK DIRECTLY. 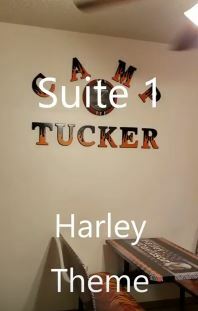 SUITE # 6 – $115/ 2 people, $15 each additional. 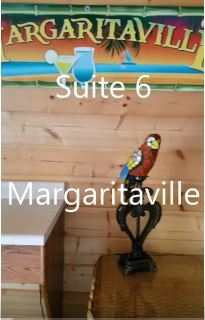 In Main Lodge – (Camp Mercedes) Margaritaville themed/w jacuzzi tub – Full kitchen – 2 queen beds, 1 full bed, queen sofa sleeper. 2 decks. 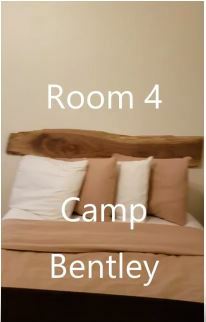 SUITE # 7 – (THIS IS NOT A CABIN -IT IS A SUITE IN THE MAIN LODGE) $115/ 2 people, $15 each additional – Ground floor Main Lodge –Grandpa’s Cabin – Barn Themed – Full kitchen, 2 full beds, queen murphy bed, 2 queen sofa sleepers. Can be used as reception hall, seat 30-40 people. Add $100 for events. 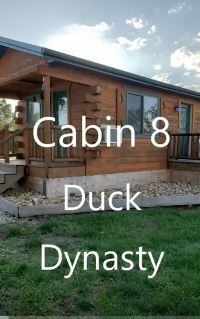 STANDARD CABIN # 8 – $115/ 2 people, $15 each additional – (Duck Dynasty) 1 full bed, full size futon. Kitchenette w/small fridge/microwave/coffee maker. Deck. 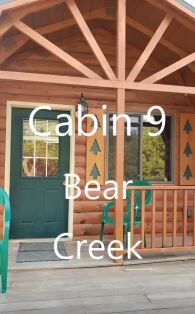 STANDARD CABIN # 9 – $115/ 2 people, $15 each additional – (Bear Creek) 1 full bed, 1 full size futon, loft w/mattress. Kitchenette w/ small fridge/microwave/coffee maker, deck. 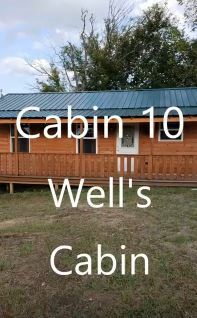 DELUXE CABIN #10 – $200/ 2 people, $15 each additional – (Well’s Cabin) 2 queen beds, full size sofa sleeper, full kitchen, 56’ wrap around deck. Pet friendly*. 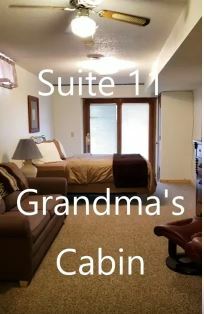 SUITE # 11 – $115/ 2 people, $15 each additional– Ground floor Main Lodge –Grandma’s Cabin – Full Kitchen. 3 queen beds, queen sofa sleeper. 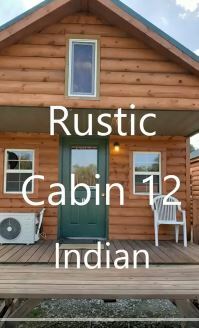 RUSTIC CABIN #12 – $115/ 2 people, $15 each additional – (Indian themed) 1 queen bed, 1 full size futon, 2 full size beds in lofts. Full size fridge/microwave. Deck. – No indoor plumbing. New shower house w/public laundry/ice only 5’ away. 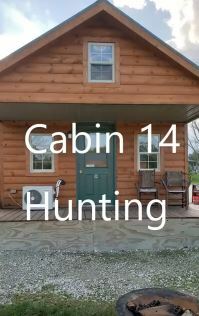 RUSTIC CABIN # 14 – $150/ 2 people, $15 each additional – (Hunting themed) 1 queen bed, 2 super twins in loft, twin futon, fold-out single cot. Full size fridge/microwave. Deck. – No indoor plumbing. New shower house w/public laundry/ice only 5’ away. Pet friendly*. 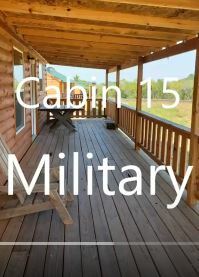 DELUXE CABIN # 15 – $165/ 2 people, $15 each additional – (Military themed) 1 queen bed, Full size murphy bed, Twin Sofa sleeper, full size futon. Full kitchen, 32’ deck. 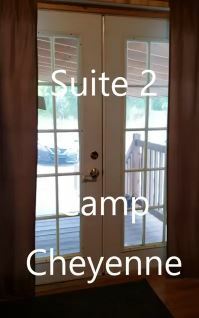 Handicap accessible with grab bars in bathroom, walk-in shower, wheelchair height counters and sinks and 36″ sliding bath and bedroom doors. 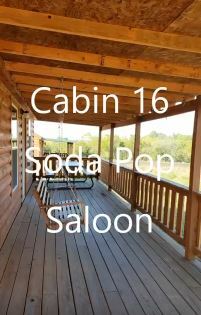 DELUXE CABIN # 16 – $165/ 2 people, $15 each additional – (Soda Pop Saloon themed) 2 full beds, 1 queen bed, sofa sleeper. Full kitchen, 32’ deck. 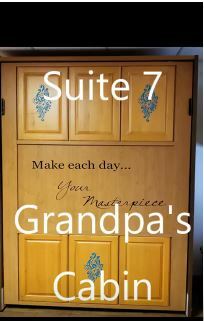 Handicap accessible with grab bars in bathroom, walk-in shower, wheelchair height counters and sinks and 36″ sliding bath and bedroom doors. 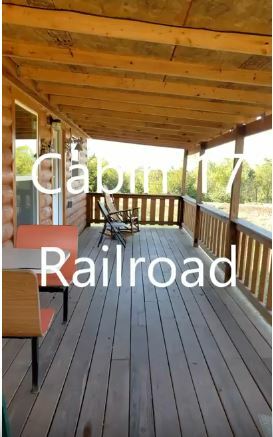 DELUXE CABIN # 17 – $165/ 2 people, $15 each additional – (Yogi Cabin, Railroad themed) 2 full beds, 1 queen bed. Full kitchen, 32’ deck. Handicap accessible with grab bars in bathroom, walk-in shower, wheelchair height counters and sinks and 36″ sliding bath and bedroom doors. 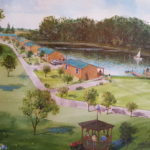 Check-in time is 2:00 p.m. Check-out time is 11:00 a.m. Later check out times must be agreed upon and arranged with Country Cabins personnel. (Additional charges may apply). Absolutely NO SMOKING IN ANY ROOMS OR CABINS. A fee of no less that $100 will be added to your bill for smoking of any kind. Including electronic cigarettes, illegal or medicinal products. An additional fee of $5/day will be charged per child between 3 – 12 years old and $15 will be charged per person over 12 years of age. *Pets are only allowed in the pet friendly cabins at the posted rate . 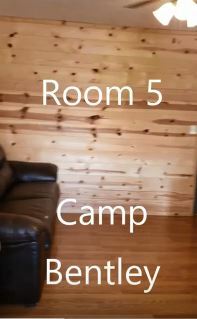 Failure to notify Country Cabins of any pet may result in your immediate removal from the property without a refund and a $200 fine will be charged to clean the room.